HTE's engineering training department has put together exciting new end-user courses. These classes teach attendees the latest in technology and application techniques which give you more power, knowledge and capability to compete in today’s demanding world. 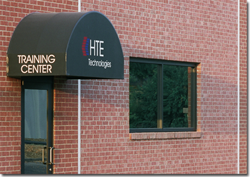 HTE Automation realizes that technology continues to grow at a tremendous pace. Your facility's engineers, electricians, maintenance people, and others depend on increasing their knowledge to improve job performance and keep processes running smoothly. We have the experience to provide that knowledge. Our instructors include people who are on the work sites, the people providing the answers and who have proven that they can do the job. Mitsubishi’s classes provide practical, hands-on training that can be used the moment the student walks out of the class. Reducing complexity and costs is the focus of any integration project we are involved in. All projects start with us listening closely and constantly to our customer’s vision, goals and needs. From that understanding a detailed scope is established for the project, and then time-lines are closely followed. 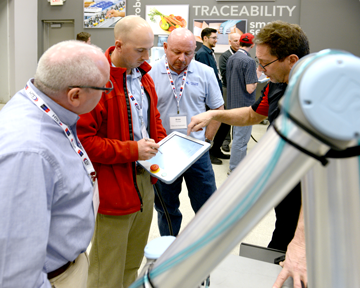 HTE Automation is dedicated to providing the resources Kansas, Missouri and Illinois manufacturers need to maximize the return on their investment in training. Our goal is to deliver increased competitiveness as we apply technology in industry.